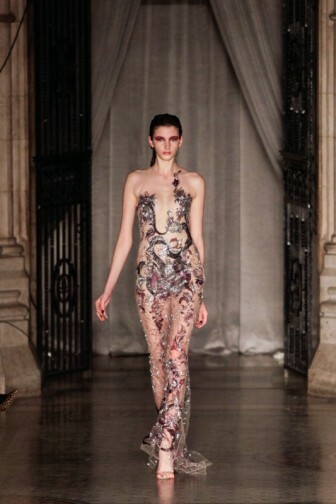 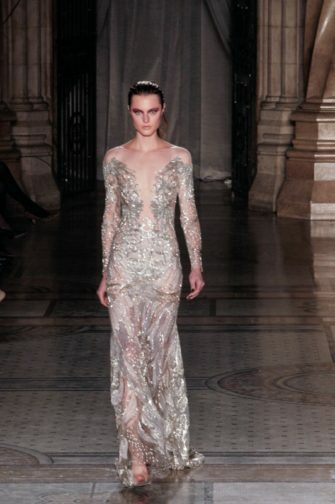 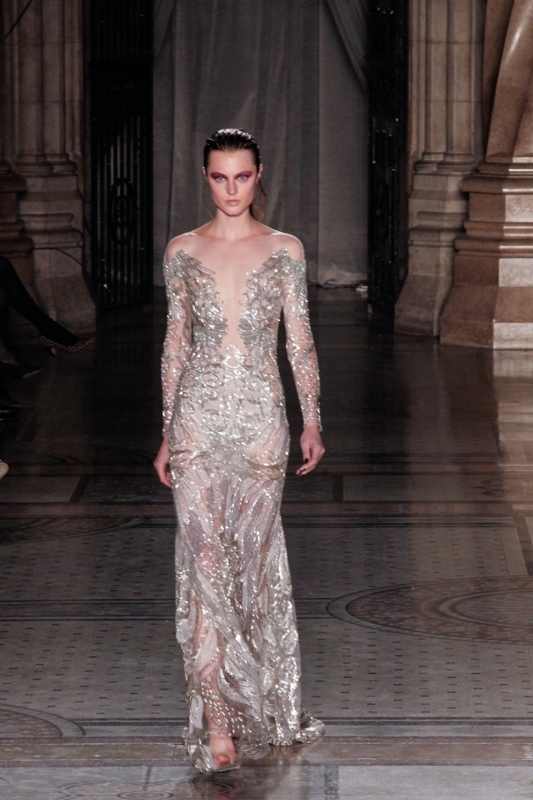 It’s day two of London Fashion Week and we are ending the day with a royal-like lavish event, with Julien Macdonald’s autumn/winter 2014 catwalk show at the Royal Courts of Justice, Strand, London. In the main hall of the building, fashion guests were treated to a cocktail party before the show, but as the lights went down, the music went louder and the photographers began to flash their lenses, everyone got ready for the real show. 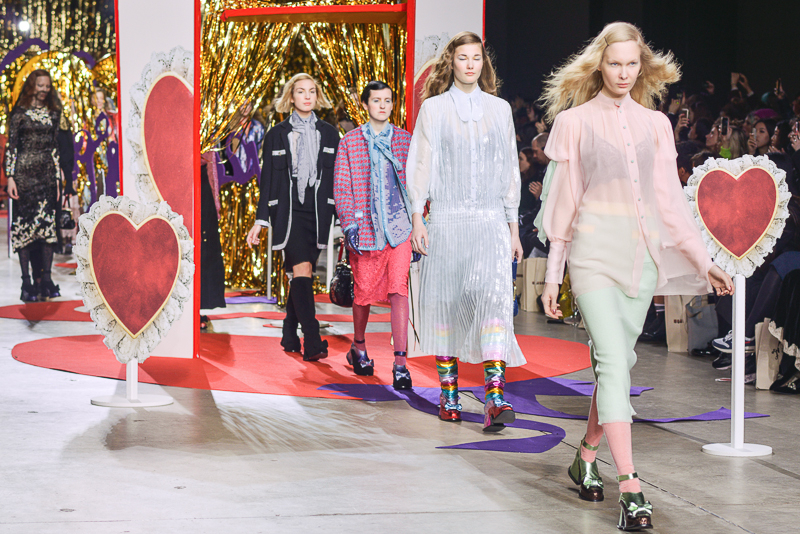 From the moment the first show-stopping dresses walked down the runway, we already understood the tone of the show and Julien’s new collection. 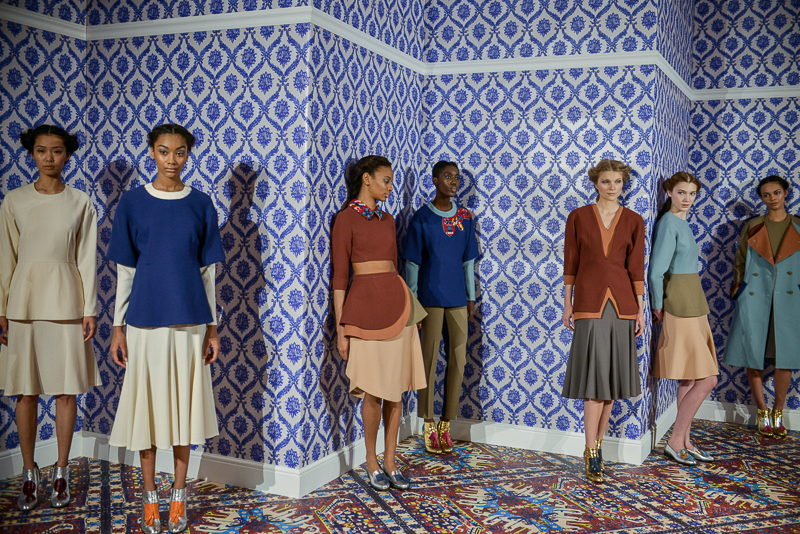 The presentation started off with dresses from neutral tones, then moved on to dark, colourful pieces before finishing off with even more textured dresses that combined that entire feel and taste of the overall finished collection. 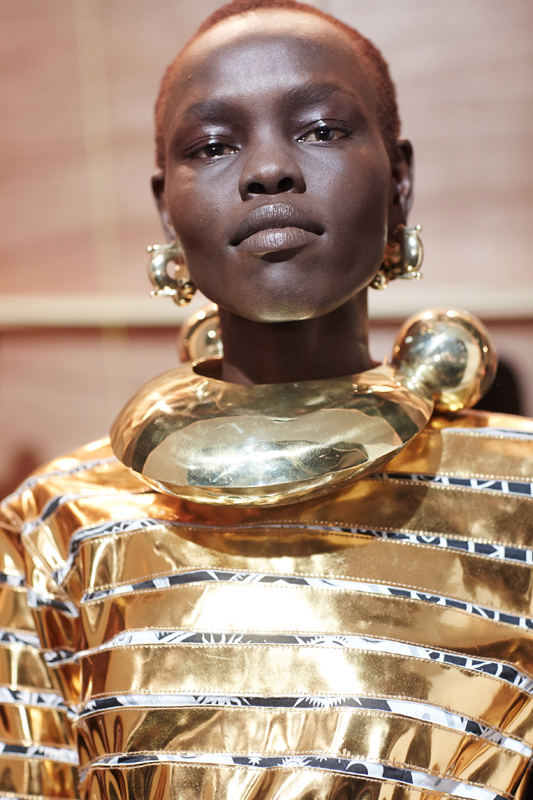 The dresses were simply fierce pieces, that literally sparked down the runway with main colours including gold, silver, neutral and metallic. 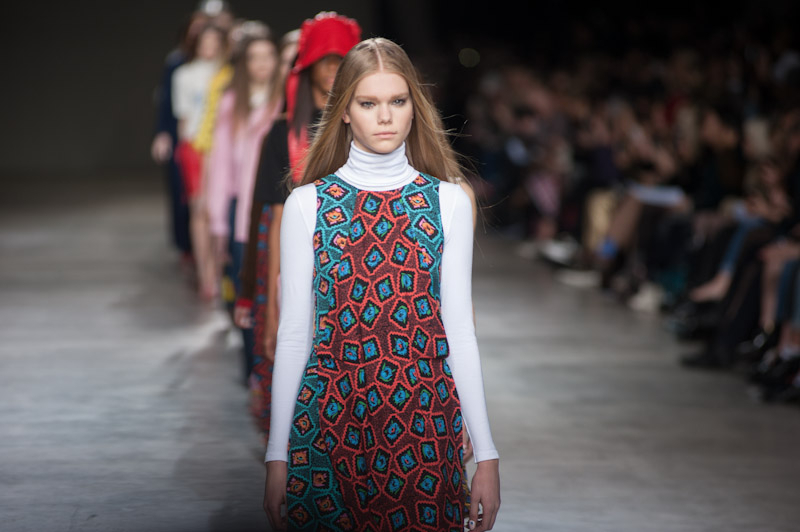 The hair and make-up were kept minimal and sleek, allowing even more attention to be focused on the dresses. 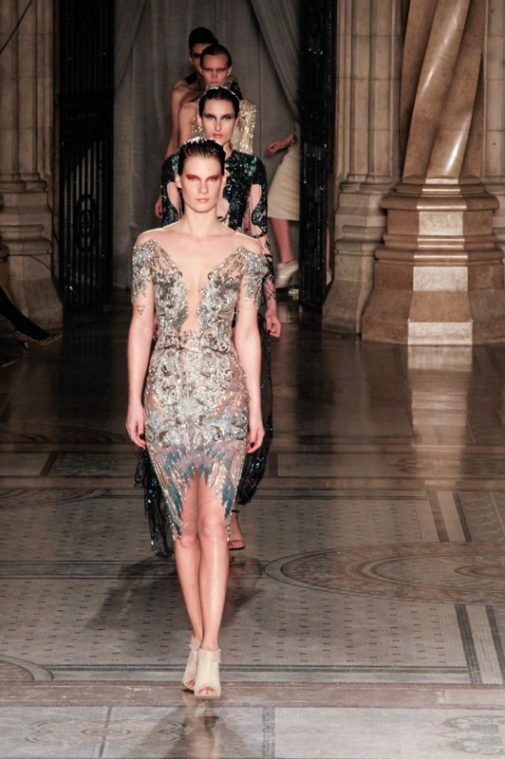 Embellished, jewelled and different was certainly the theme of the autumn/winter collection, as this was embodied throughout the show. 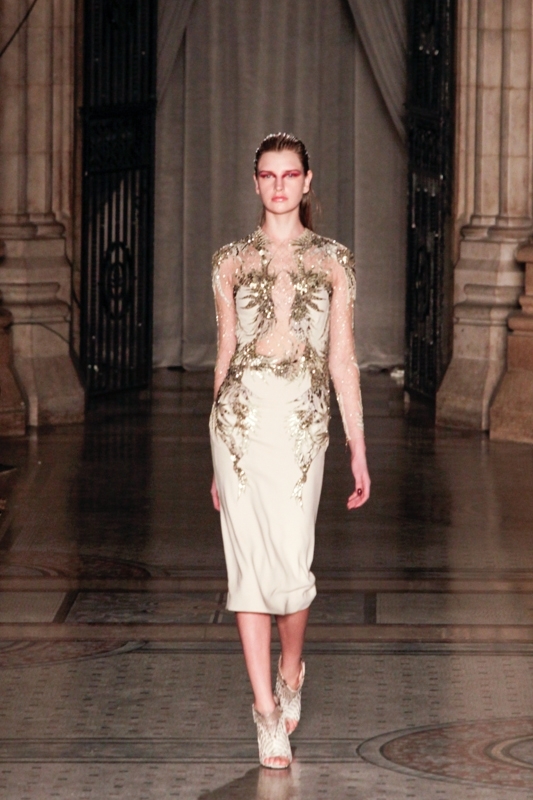 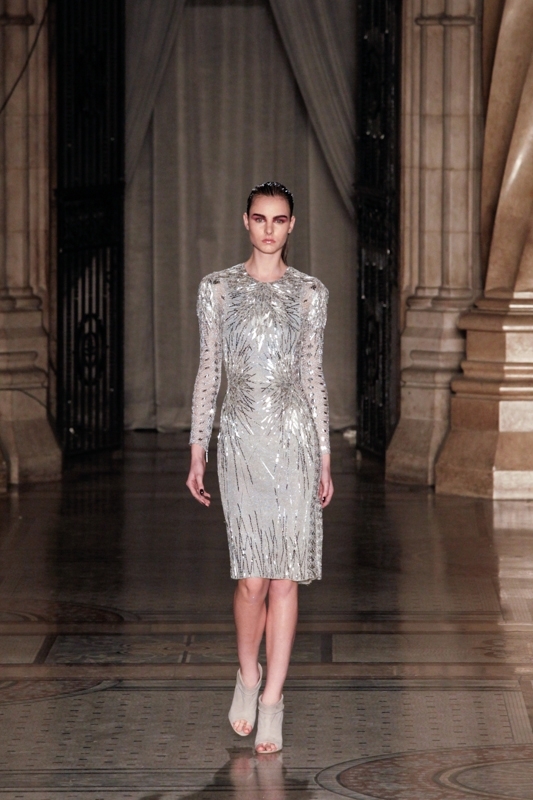 All the delicate, intricate dresses hugged the models and fitted each body to perfection. 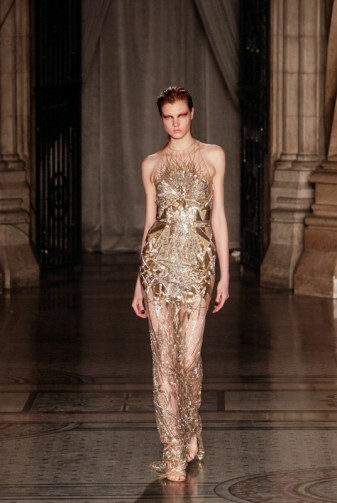 So many of the pieces looked expensive and all had a red carpet look perfect for any big award ceremony. 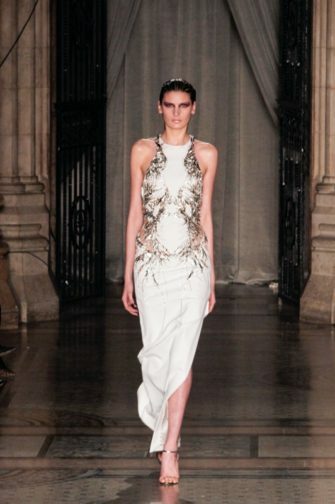 The new collection overall proved that Julien could not only dress women but glamorous women. Everything from the venue, lights, collection and music was fierce. 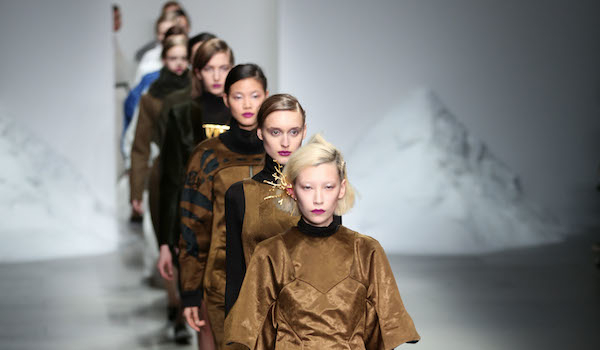 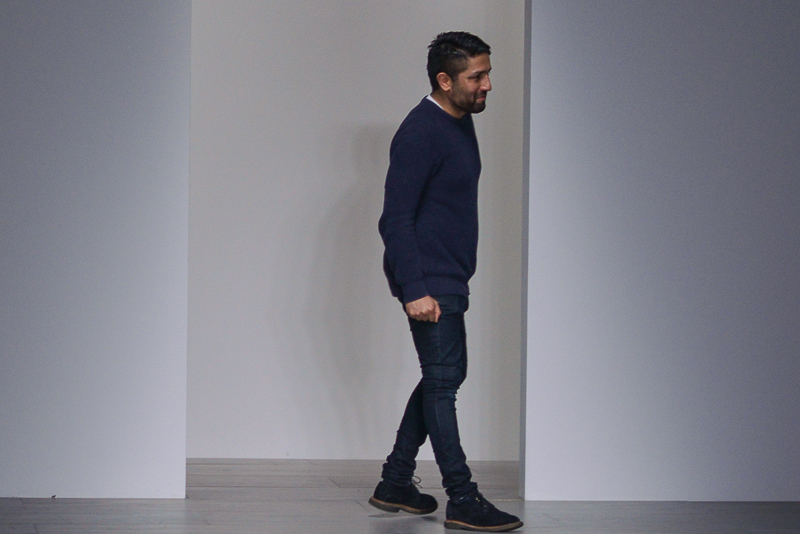 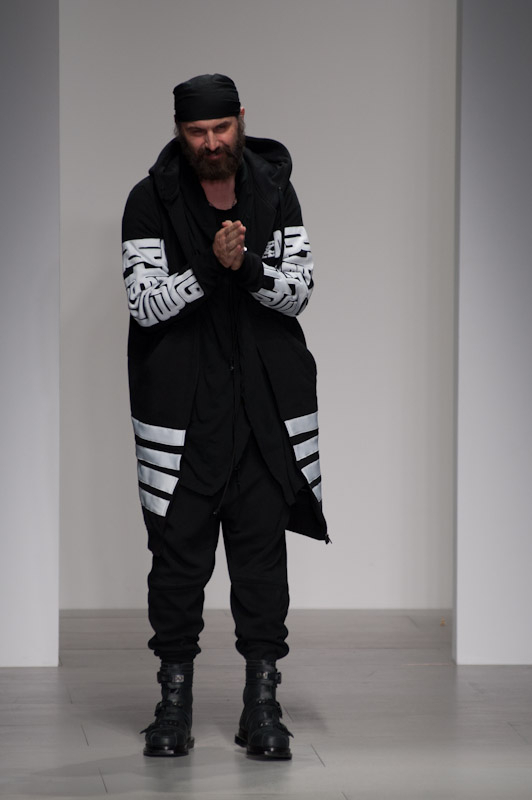 Here the show cemented Julien’s work at fashion week as everyone will be talking about it (and the show) throughout the seasons to come. 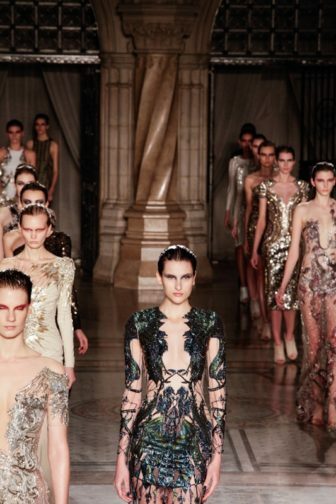 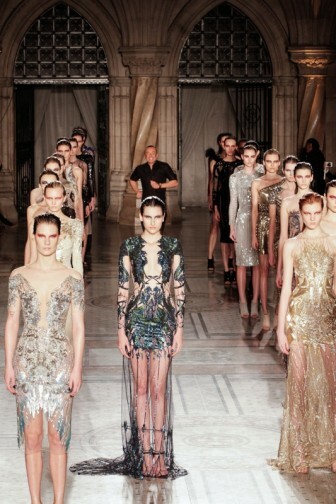 So in future if you’re going to put on a show at fashion week, the only lavish way to do it is the Julien Macdonald way.